Making Your Living Space Beautiful One Stone at a Time! TMG Granite and Tile producers of exceptional residential and commercial projects. As Certified Professional Tile Installers we have been a part of numerous home improvements, remodeling and renovations including many commercial spaces throughout the Lower Mainland. It is our commitment to bring our Professionalism and Experience to your project, and provide you with the best services and products availalble. Specializing in Kitchen Counter-top Fabrication & Installation with over 20 years of experience. We aim to provide the latest trends in surfacing materials that meet your design, lifestyle, and budget needs. 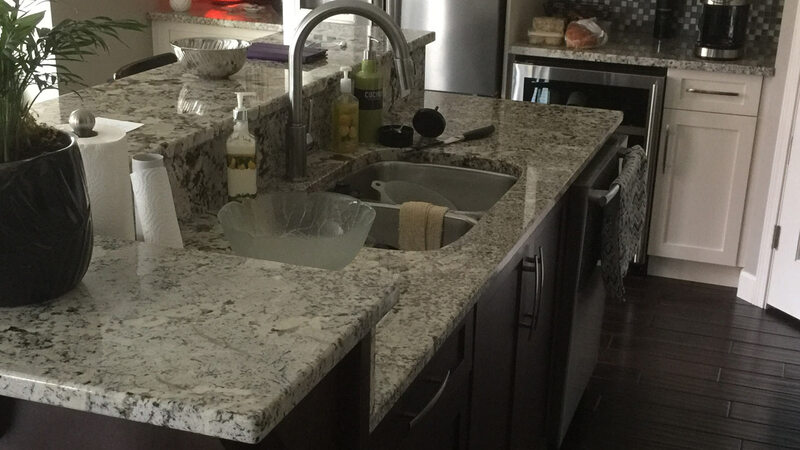 Our extensive collection of counter-top materials from top manufacturers includes stunning natural stones like granite, marble and quartzite along with many popular man made Quartz options. 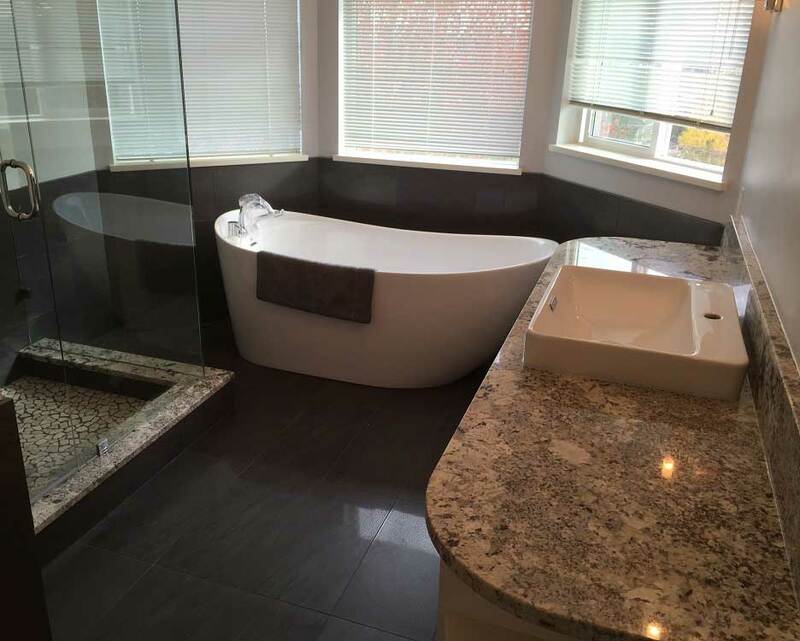 If your bathroom is suffering from mildew, crumbling grout, discolored porcelain, leaking, or chipped surfaces, it may be time for a bathroom renovation in your Lower Mainland home. A well designed updated bathroom is a great investment. It increases the resale value as well as improving the comfort of your home. Whether a guest bathroom or a master bath remodeling project we help you make the most out of your space. A remodeled kitchen not only can make your home more livable it will increase the value of your property. 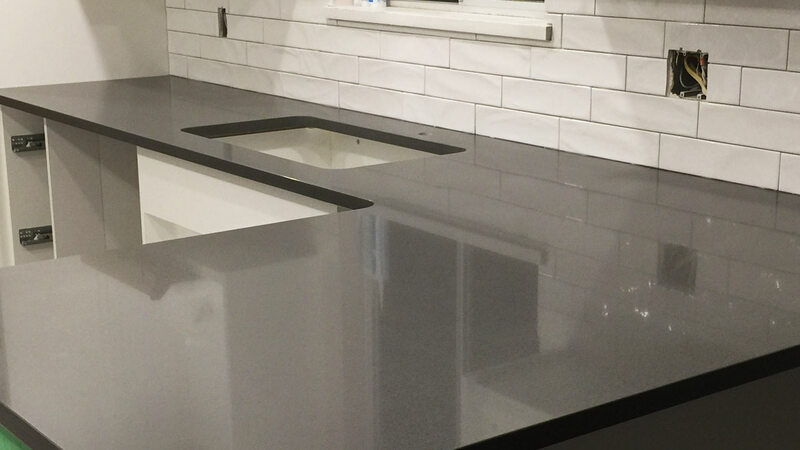 We can design your kitchen makeover and upgrade your kitchen counter-tops, back splash, and floors with custom fabricated Quartz, natural stone or a variety of products we work within our remodeling projects. TMG also works very closely with some very well respected Lower Mainland custom cabinet shops that can help stremline your projects. As Professional installation of porcelain ceramics and natural stone we provide homeowners and contractors expert services for all countertop and tiling needs, without the need to hire anyone esle . 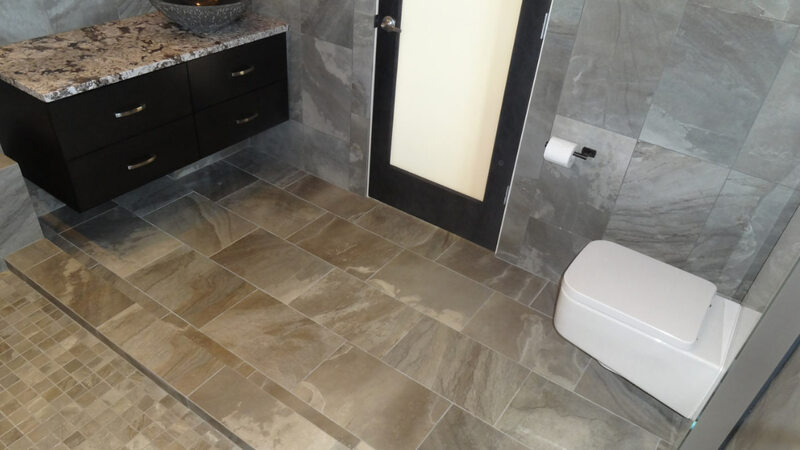 We are certified professional tile installers, including Wedi Certified installers and have 20 + years of experience installing tile and over 18 years in stone fabrication and installation. Contact us for Free phone consultations and advice on any questions you may have, even if you are not a client of ours we are willing to help in any way. One of TMG Granite & Tile’s goals is to ensure that our industry maintains a level of professionalism to guarantee the highest quality that homeowners deserve. Whatever your needs, we will do everything we can to ensure those needs are met. Mike guided us through the process of updating our living room Fireplace. He took an old tired looking brick fireplace and created a stunning modern masterpiece that is worthy of being the centerpiece of the room. TMG Granite did an incredible job on my kitchen flooring. They were super quick and efficient, demoing my old tile and putting in the new tile floor within a few days. Thank you again for the amazing craftsmanship.